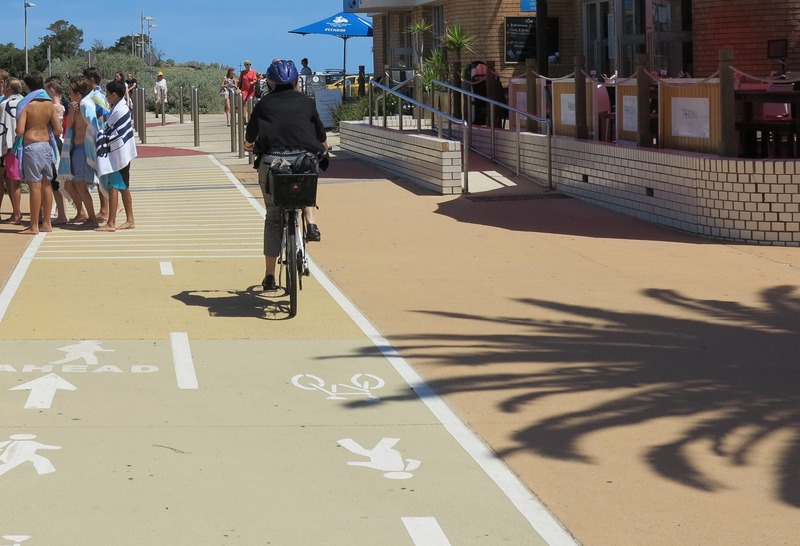 Council is undertaking a number of projects to improve the safety of the Bay Trail for cyclists and pedestrians. 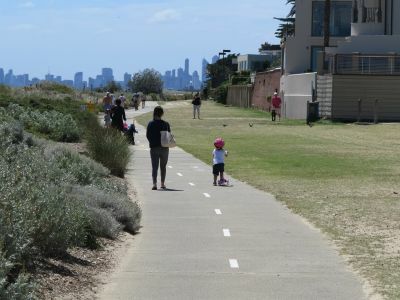 The Bay Trail is a shared use path for cyclists and pedestrians which follows the coastline of Port Phillip Bay through the south-eastern suburbs of Melbourne. The number of pedestrians and cyclists currently using the Bayside portion of the trail exceeds safe design capacity in several locations. 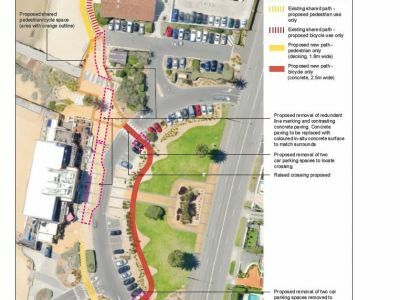 As the number of people using the trail is expected to increase significantly with a growing population, Council plans to address these safety issues and make changes over the next four years using a phased approach. The first section of the Bay Trail to undergo upgrades was completed in October 2017. 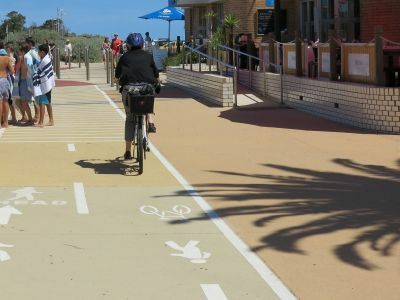 Cyclists and pedestrians now have dedicated paths between Sandown St and Bay St in Brighton. 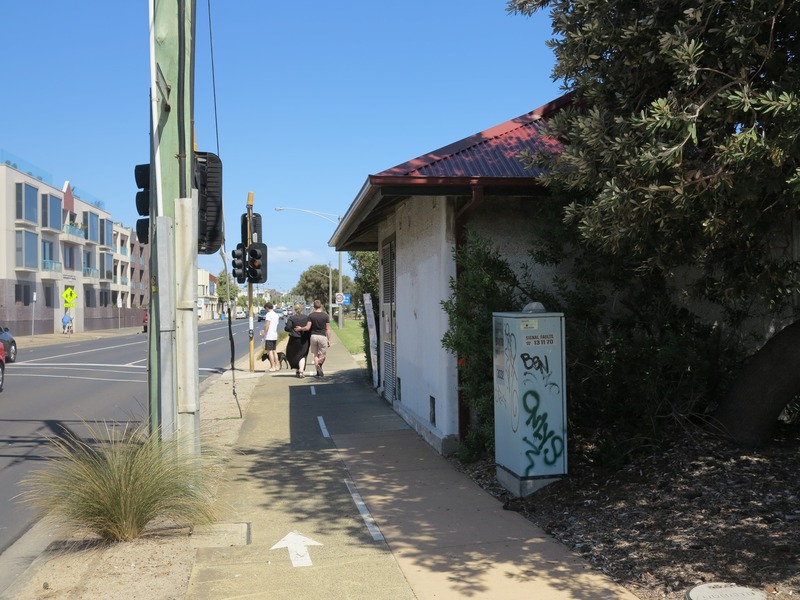 “Bayside allocated more than $2.2 million in the 2017-18 budget for footpath and bike path improvements,” said Cr del Porto. This follows more than $1.2 million in upgrades over the past 6 years. “Giving people a convenient alternative to dealing with traffic congestion is very important for the health of our city. Our wellbeing as individuals and as a community is enhanced by getting outside, putting on a helmet and enjoying the wonderful Bayside outdoors,” said Cr del Porto. Council officers will be on-site at Middle Brighton Baths between 8.30am and 11.30am to discuss the proposal. Report on community engagement activities will be presented to Council for the Sandown to Bay Streets portion of the Bay Trail. Feedback will be received until 5pm November 26, 2017. A consultant will develop a detailed design that incorporates community feedback received. Will vegetation be removed as part of this project? How were the sites prioritised? Why hasn't Council done anything sooner? Each site varies. Potential options for improving the Bay Trail may have implications for the natural environment adjacent to the Bay Trail, such as pruning and/or removal of coastal vegetation. However, further investigation of the available options to improve the safety of Bay Trail users is required to identify and understand these implications. Minimising impacts on the natural environment is a key focus of any improvement proposal and will be considered as part of each site project. Requirement for a planning permit to implement the remedial treatment. Sites that were identified as being less complex to deliver, while providing a significant benefit to the community were given higher priority. Click here for the prioritised list of sites. Council has a fixed capital investment program that is in line with the four-yearly Council Plan. Minor remedial works were carried out within the existing budget. 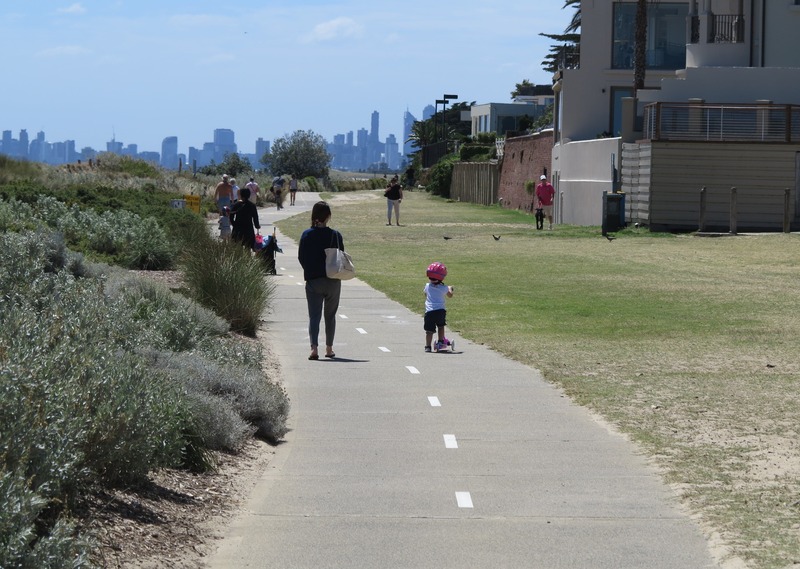 Funding is now allocated and foreshadowed in the long term financial plan to progress the investigation and implementation of structural measures to improve the safety of shared path users along the Bay Trail. What happens if this work is not done? To ensure the Bay Trail remains open these works need to occur, otherwise the risk to community and Council is too high. 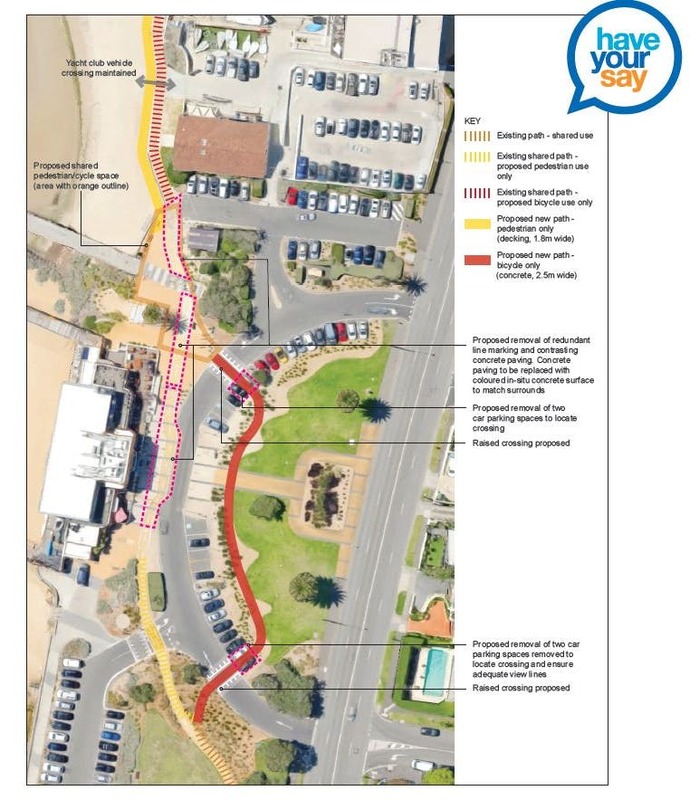 How did Council assess the safety of the Bay Trail? Council undertook a safety audit of the Bay Trail in October 2010 that identifies safety hazards at a number of locations. Although many of the safety hazards have been addressed over the past six years, a number of ‘high risk’ items involving more complex solutions remain, such as path widening and path clearance to adjacent hazards.